It’s bad enough when high-school senior Keeley grabs the wrong phone while leaving her small town’s end-of-summer fair. It’s even worse when she discovers that the phone she now has belongs to the obnoxious, self-centered Talon and that he’s just left for football camp … with her phone. Reluctantly, the two agree to forward messages for a week. And as Keeley gets to know Talon, she starts to like him. Keeley learns there’s more to Talon than the egocentric jock most people see. There’s more to Keeley, too. Texting Talon, she can step out of the shadow of her popular twin brother. Texting Talon, she can be the person she’s always wanted to be. Sparks fly when the two finally meet to exchange their phones. But while Keeley has been playing a part online, Talon has been keeping a secret. He has a different connection to Keeley — one that has nothing to do with phones, and one that will make their new relationship all but impossible. Knowing what she now knows, can Keeley trust him? And can love in the present erase mistakes of the past? WE WANTED TO GIVE YOU ALL THE OPPORTUNITY TO GET THIS BOOK IN YOUR HANDS BEFORE IT PUBLISHES ON MAY 2, 2017. 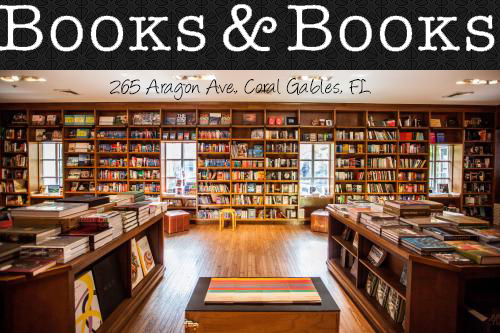 MOST OF THE OWLS ARE FROM FLORIDA AND SUMMER IS ABOUT TO ROLL IN AND ALL WE WANT ARE SANDY BEACHES, COOL (OR WARM) OCEAN WATER, A FRUITY DRINK, A SMILE ON OUR FACES, AND A GREAT BOOK IN OUR HANDS! WHAT BETTER WAY TO GET YOU IN THE MOOD THAN THIS CUTE, SUMMER ROMANCE FROM DEBUT AUTHOR LINDSEY SUMMERS. Lindsey Summers is self-proclaimed bookworm. Growing up, she begged for new books rather than clothes. It wasn’t until Wattpad that she gained the courage to start writing her own stories. Her first novel, The Cell Phone Swap, has received more than 79 million hits online. 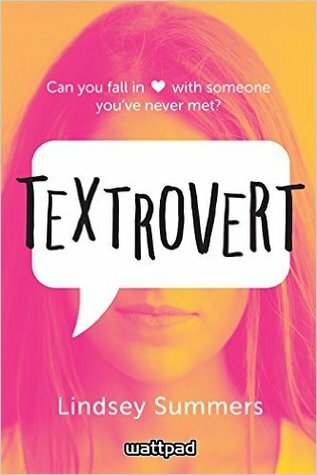 One (1) Advanced Reader Copy of TEXTROVERT, US only. My favorite things about the summer months are the warm weather and yard sales. My favorite things in the summer: hiding indoors and staying out of the sun! I am not a fan of summer. It's too hot and humid in the northeast, but I do like that there is more daylight. My favorite things about summer (it's my favorite season) is the sunshine, open windows, wearing tanks and shorts, lots of daylight. I hate summer. I live in AZ and it's waaaay too hot. I have to worry about childcare with my daughter out of school and we're too broke to go anywhere or do anything. Ny favorite thing about summer is the fact that there is a lot of time to travel and hang out with friends. Its my birthday and I get to swim.Plus I get to hang out with family more. Its my birthday in july and I get to hang out with my family more.Plus I get to go swimming. I like cooling down by swimming in the summer heat, being able to go out with my friends, and the lack of homework I have. There's always new things that happen in the summer and I love when the surprises come. My favorite things about summer have got to be swimming, going out to yard sales with my dad, hanging out with my friends, and the lack of homework. My favorite things about summer have got to be going swimming, going to yard sales in the morning with my dad, hanging out with my friends, the lack of homework, and being able to go to new places. My favorite thing about summer is the warm weather and summer vacations. Summer is amazing! I love swimming! It's the perfect weather to wear shorts and skirts! Also, another one of my favorite things about summer is eating icecream at the beach! Definitely eating lots of watermelon and ice cream! Definitely eating watermelon and ice cream! I definitely enjoy more time to read my books and hanging out with my frienEssie. I like how I don't have school during summer XD. My favorite thing about the summer is curling up with a good book outside in a hammock. My favorite thing about Summer is spending my days at the beach and getting my tan on! I also love all of the time I get to spend with my children! My favorite thing about summer is spending time with my family and friends. My favorite thing about summer is to travel. During summer I love to go to the beach or the lake. Fresh air in to hot summer is the best. Favorite part about summer? Gotta be more time to read. Kinda lame, I know, but without school interfering in my schedule, I get through a ton of my tbr! Favorite part about summer has got to be more time to read! Kinda lame, I know, but without​ school interfering with my reading schedule, I get through a ton of my tbr!